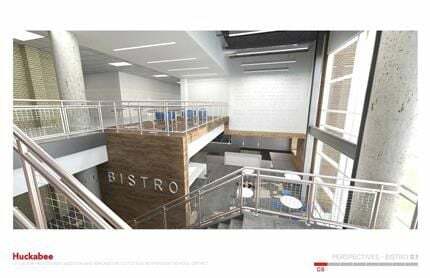 Little Elm High School will install a bistro with extra study areas for students. ugust and is anticipated for completion in July 2017. A two-story classroom wing will be located on the south side of the high school and will include 11 classrooms. completion in July 2017. A new band hall will cater to the fine arts students at Little Elm High School. Forget what you know Little Elm High School (LEHS) to look like, because the district is preparing for a massive renovation project that will accommodate the growth in student population in the years to come. 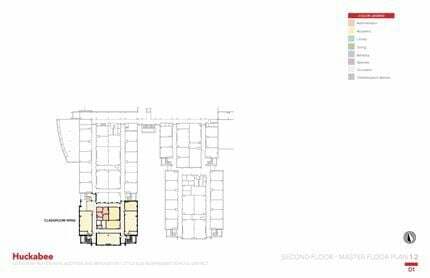 Set at a projected total of $17.5 million, the project will renovate existing portions of the school and add more space for students and faculty alike. Construction will begin in August and is anticipated for completion in July 2017. Rod Reeves, executive director for operational services, said because the district is growing roughly 3 to 4 percent each year, it is necessary to create an atmosphere where students and staff will feel comfortable and ready for life after high school. A two-story wing featuring 11 new classrooms will be added to the south side of the high school to include general classrooms, science labs, culinary arts classrooms and a new bistro with areas for studying. In addition, the kitchen and cafeteria will be expanded and will include outdoor patio areas for more seating options. “If you walk in to the cafeteria in the fall of 2017, you won’t know where you’re at because it’s going to look so different,” said Lowell Strike, Little Elm ISD superintendent. Reeves said exterior and interior surveillance cameras, as well as employee card access to the building, will be a key safety component for the school. Covered batting cages for the baseball and softball teams will be completed by January 2017, Strike said, and an improved irrigation system for drainage at the athletic fields will be installed. A new and improved band hall will also be added to accommodate the fine arts students. General aesthetic improvements such as exterior landscaping and new colors, designs and graphics will be done in the main corridor. “What we can afford to do financially and physically, we are going to do for every child that walks through our doors,” Strike said.